© Image courtesy of the Rugby Football League and The University of Huddersfield Archive and Special Collections. 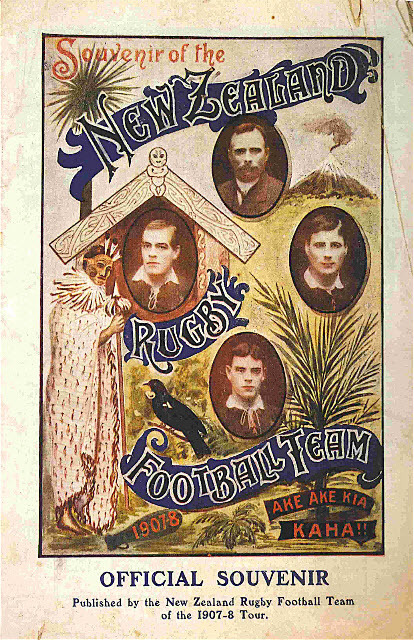 The 1907-08 New Zealand tour to England and Wales provided the Northern Union with an international image, something not possible since its formation in 1895. On their return to the Southern Hemisphere the tourists played the first games in Australia under Northern Union rules. Sadly the tour's organiser, A H Baskiville died of pneumonia on 20 May 1908 before the end of the tour.